Chelsea can reportedly complete the permanent transfer of midfielder Mateo Kovacic from Real Madrid after Zinedine Zidane’s return to the Bernabeu as manager. 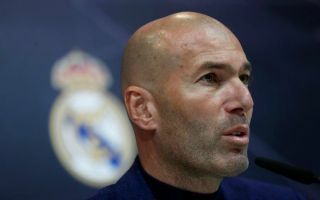 The French tactician was announced as coming back to Madrid yesterday, and a flood of transfer speculation has followed since. One report from Sport Mediaset details a number of Zidane’s plans for the summer, and they state that Kovacic will ‘certainly’ not be coming back to the Spanish capital after his loan at Chelsea. While it remains to be seen if the Blues would want to keep the Croatia international, it’s a move that makes sense for them due to a relative shortage of options in that position. Cesc Fabregas left Stamford Bridge for a move to Monaco in January, and the futures of players like Danny Drinkwater and Tiemoue Bakayoko will be in doubt. Kovacic may not have looked absolutely world class since joining Chelsea on loan, but he’s surely done well enough to earn a permanent move, and it looks like they won’t be stopped from doing so.